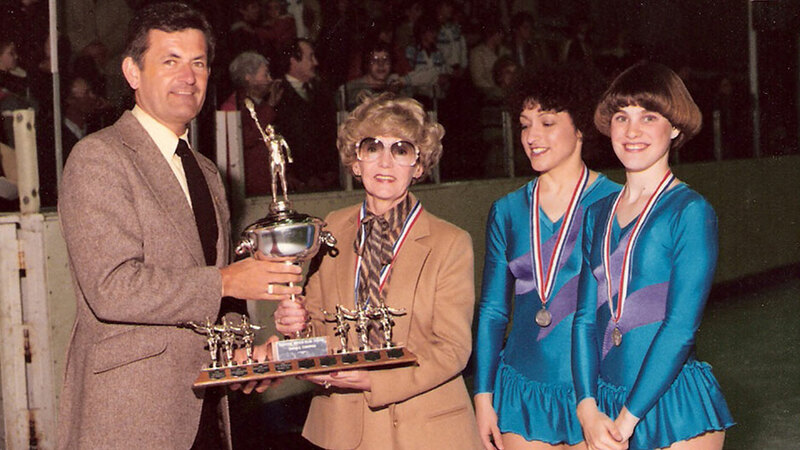 It was all in the dance and it led Marjorie Black from Manchester, England to a worldwide reputation as the woman who brought synchro skating to global prominence. The small but mighty Marjorie was born on March 22, 1925 in Manchester. At an early age she became an accomplished ballerina at the same time taking to the ice. In 1948, she won the European open and dance ice skating championship with her partner Ronnie Baker. Later she spent six years as a principal skater with the Ice Capades followed by 45 years of professional coaching, mostly in Canada. 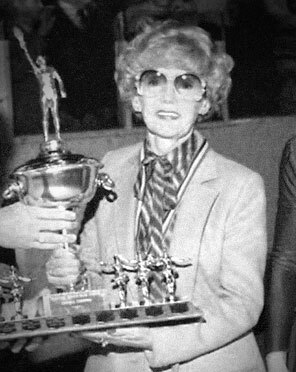 It was as a coach that Marjorie became widely known as an innovator and perfectionist as she taught several Canadian champions in singles, pairs and dance. 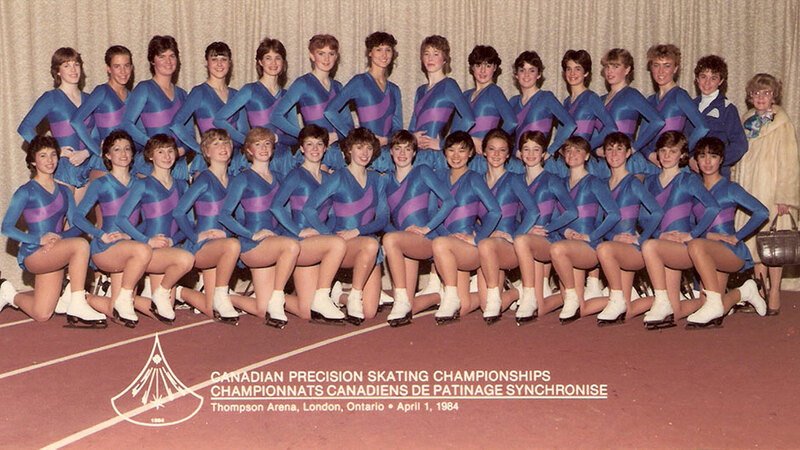 However, her greatest satisfaction came in seeing “her girls” — the London Supremes — win the first of three consecutive Canadian Precision Championships in 1983. 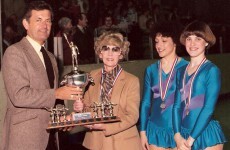 The Supremes also won the North American championship that year in Lake Placid, N.Y.
Majorie’s pursuit for perfection and innovative techniques led her to being recognized around the world and in later years she was invited to hold instructional clinics on precision skating in Europe and the United States. But it was her influence as a former pairs and dance competitor in the intricate footwork and artistry used by the Supremes that drew rave reviews from judges and spectators alike and cemeted her reputation as a world-class coach. She had a picture of herself doing the famous “Beilman Spin” in 1938, more than 40 years before Denise Beilman of Switzerland did it at the world amateur championships. In the spin, the skater grabs her free skate above her head with the leg extended straight up. “People are always pinching my ideas and it gets hard to think up new ones,” she once was quoted as saying. Alas, the woman who pioneered synchro skating on the rinks in and around London and then took it to the world stage, died on July 4, 2002, ironically the year of Girls and Women in Sport. 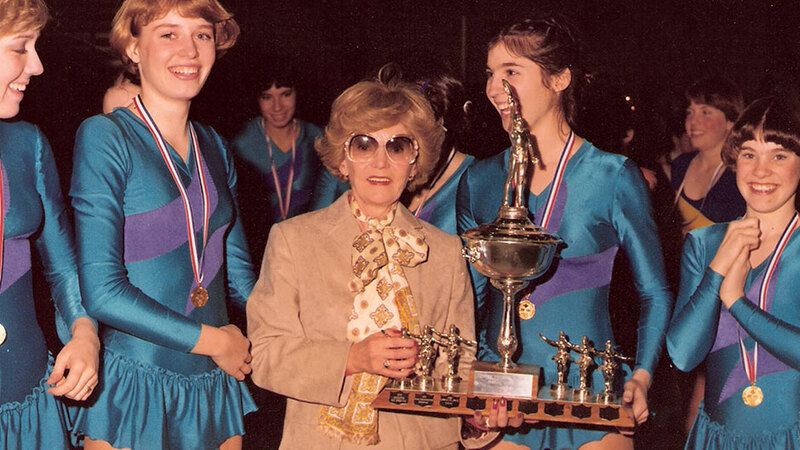 Today we are honoured to welcome Marjorie Black, the first inductee from figure skating, into the London Sports Hall of Fame in the builder/founder legend category.